Here are some quick facts for your business case, as you can see the benefits of conducting a wellness programme in your workplace are massive. The average saving per year for every 100 employees will be between $5700 to $10404.00 per year – in diabetes alone. 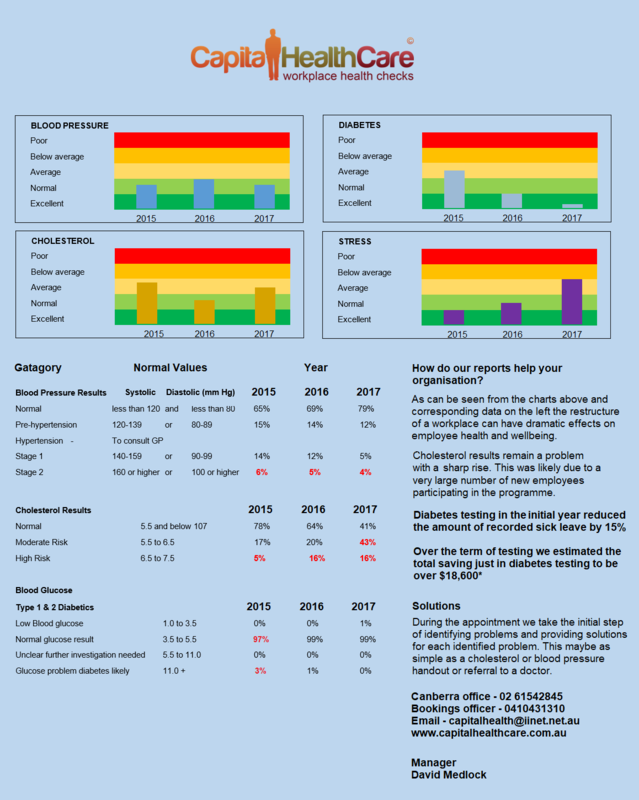 Click here to see one organisations improvement in diabetes testing. Every $1 invested in health and wellbeing can achieve a return of $5.82 in reduced absenteeism costs. You will also see a 32% reduction in workers’ compensation and disability claim costs. .
Organisations with poor management leadership when it comes to health and wellness policies are 25% less likely to have healthy staff. Better employee relations and economic gains will be noticed, reduced absenteeism, accidents and the image of a concerned and responsible employer. Your staff turnover will be lower, saving time and money with new employment and training.